The Rahway Valley Sewerage Authority (RVSA), which operates a large wastewater treatment plant in New Jersey, embarked on a green co-generation waste-to-energy project to power a portion of its operations. 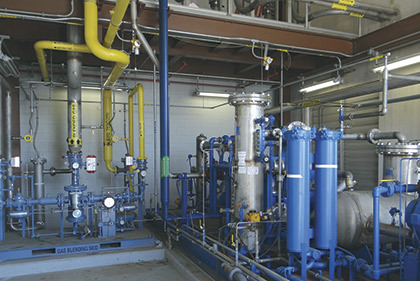 The plant performs primary, secondary, tertiary and sludge treatment processes in serving over 250,000 residential customers and 3000 industrial and commercial customers in a 40-plus square mile region. 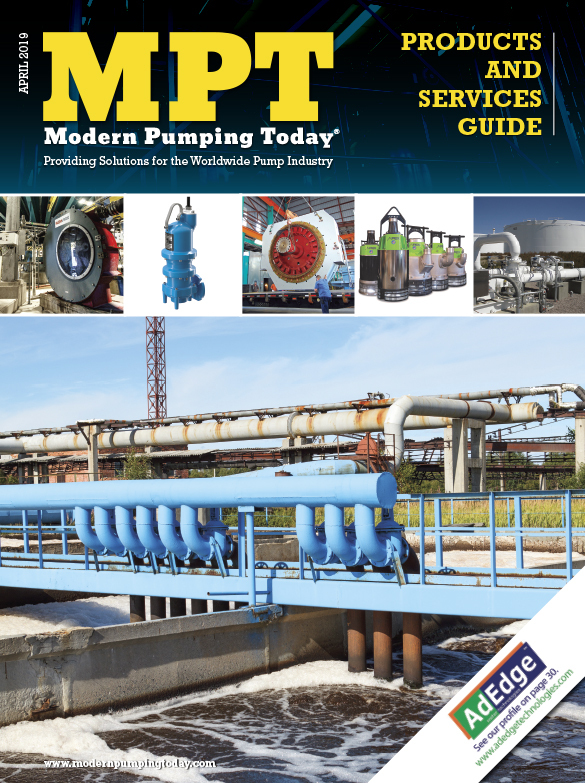 A maximum peak flow of 105 million-gallons-per-day (MGD) can be processed daily. The RVSA’s management team became interested in pursuing the gas-to-energy power co-generation system for both environmental and cost reasons. This progressive treatment facility installed four large 1.5 MW cogeneration power production engines, which would be fueled in part by the site’s production of digester gas and generate on-site power for the facility. These large gas reciprocating engines are well suited to co-gen waste-to-energy power applications. 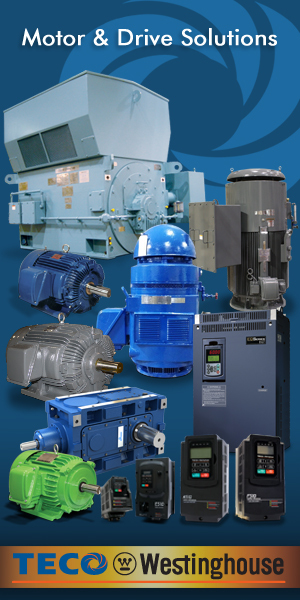 They have generally high electrical efficiency rates with relatively low environmental impact. A number of manufacturers design gas reciprocating engines especially for use in wastewater treatment and landfill plants. By providing energy directly from the load source for use in the plant, there is very little energy loss due to transportation and distribution. To sustain the BTU levels required by the engines in the event that digester gas production was too low, the engines also were to be powered by natural gas. The blended waste gas and natural gas system was necessary because the plant didn’t always produce enough waste gas to operate at least two of the four co-gen engines at 70 percent of the load needed for plant operations. The co-gen energy was in part designated to help power a new ultraviolet (UV) disinfection system. This system was installed to help meet environmental regulations requiring effluent treatment before the water was to be discharged from the plant. UV disinfection systems require continuous power in order to disinfect wastewater effectively during the treatment cycle. UV disinfection utilizes short wavelength UV-C ultraviolet light to kill microorganisms in wastewater effluent prior to discharge back into the water system. It attacks bacteria, viruses, molds and other pathogens. It is frequently used in conjunction with other disinfection technologies to ensure effectiveness. UV lamps for water treatment are typically mercury-vapor lamps that produce UV radiation at 200 to 254 nm, depending on the type of lamp. The lamps never touch the water, but are instead housed in glass sleeves inside the water chamber or mounted externally. As water flows through the chamber, the water is exposed to the UV rays that are absorbed by the suspended solids in the flow stream. 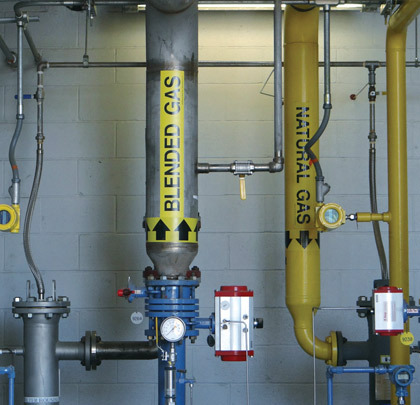 Blended waste gas and natural gas system is used to operate a New Jersey facility’s co-gen engines. The co-gen engines’ control system required independent flow measurement of both the digester gas and the natural gas lines in order to blend the mixed gas properly. To minimize training and service/support costs, the RVSA plant staff wanted to use the same flow meter technology from a common vendor for the digester gas and natural gas lines. The flow meters had to measure accurately and be unaffected by continuous engine vibration in a dirty environment. The plant staff specified that the flow meters would be required to measure a mixed composition of both digester gas (methane [CH4] 60 percent + carbon dioxide [CO2] 40 percent) and natural gas (methane [CH4] 90 percent + ethane [C2H6] 10 percent). They had to be installed on 4- and 6-inch lines (DN100 and DN150) and measure a flow rate of up to 500 SCFM [14 NCMM]. Temperature conditions ranged from 50 degrees Fahrenheit to 100 degrees Fahrenheit [10 degrees Celsius to 38 degrees Celsius] at a pressure of 60 psig [4 bar(g)]. 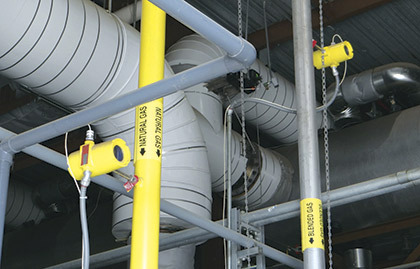 The flow meters needed to work accurately at a pipe straight-run of 120 pipe diameters. The RVSA wastewater treatment plant staff already had a strong working relationship with Fluid Components International (FCI), having successfully utilized its flow instruments for several decades. Engineers at the plant were satisfied with approximately 40 FCI flow meters that were already installed, mainly in the aeration system where they monitor the air blowers. With this history, the RVSA engineers at the plant wanted to discuss their co-gen project measurement needs with FCI. After consulting with the applications team at FCI, the treatment plant engineers decided to choose the FCI Model ST98 thermal mass flow meters. The mass flow meters were then installed on both the digester gas and the natural gas lines at the plant. These thermal mass flow meters combine equal mass thermal dispersion flow sensing elements, precision electronics and exacting fluid calibrations, all packaged within rugged, industrial enclosures. They deliver a dependable gas flow measurement solution that continuously meets performance specifications in the most demanding plant applications, including wastewater treatment and with virtually no scheduled maintenance. The wastewater treatment plant staff installed an insertion type ST98 flow meter on the 4-inch lines [DN100] and on the 6-inch lines [DN150]. These meters are designed with a highly reliable no-moving parts flow element that provides direct mass flow measurement with just a single process penetration. They also are not susceptible to the heavy vibration caused by the co-gen engines because of their rugged construction. The wastewater treatment plant staff recognized the advantages of this flow meter’s advanced thermal sensing technology design, which saves space and eliminates unnecessary component installation expenses and performance degradation. Other types of air/gas flow sensors generally require installing separate temperature and pressure sensors, as well as density calculation devices, which are needed for their inferred mass flow sensing capability. FCI’s thermal dispersion sensing technology provides direct mass flow measurement. It places two thermowell protected platinum RTD temperature sensors in the process stream. One RTD is heated while the other senses the actual process temperature. The temperature difference between these sensors generates a voltage output, which is proportional to the media cooling affect and can be used to calculate the mass flow rate. With this direct mass flow sensor technology, the FCI meter also includes built-in temperature compensation to ensure repeatable and reliable measurement even in extreme environments, such as those found in outdoor wastewater treatment plants. This automatic temperature compensation technology adjusts automatically for accuracy to changes in seasonal temperatures, such as cold winters, hot summers and periods of high humidity. With no moving parts to plug or foul, the ST98 meter delivered extensive future cost savings over higher maintenance alternative technologies for the co-gen power application at the wastewater treatment plant. This meter now provides the accurate gas flow measurements essential for dependable and safe plant operation at the lowest lifecycle cost for the gas fed co-gen engines. The RVSA plant staff was satisfied with ST98 meter’s accuracy of ±1 percent of reading, 0.5 percent of full scale, with repeatability of ±0.5 percent of reading. The meter includes a rugged, NEMA 4X/IP66-rated enclosure and is agency approved for installation in hazardous gas (Ex) locations involving combustible bio gas and natural gas. The flow meter’s standard 4-20 mA analog output of flow rate was wired into the wastewater treatment plant’s four-engine control system. The RVSA’s wastewater treatment plant’s engineers and managers have been extremely pleased with the results that they have obtained from their FCI ST98 Flow Meters. The ability to measure both digester and natural gas with the same meter has allowed for significant cost savings. The co-gen system is now running at the highest level of efficiency in large part thanks to flow meters. Ray Heulitt is senior engineer, Control Sales, and Art Womack, member technical staff at Fluid Components International (FCI). Fluid Components International is a global company committed to meeting the needs of its customers through innovative solutions to the most challenging requirements for sensing, measuring and controlling the flow and level of air, gases, and liquids. For more information, call 760.744.6950, email fcimarcom@fluidcomponents.com, or visit www.fluidcomponents.com.